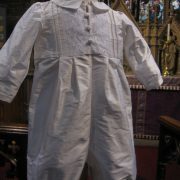 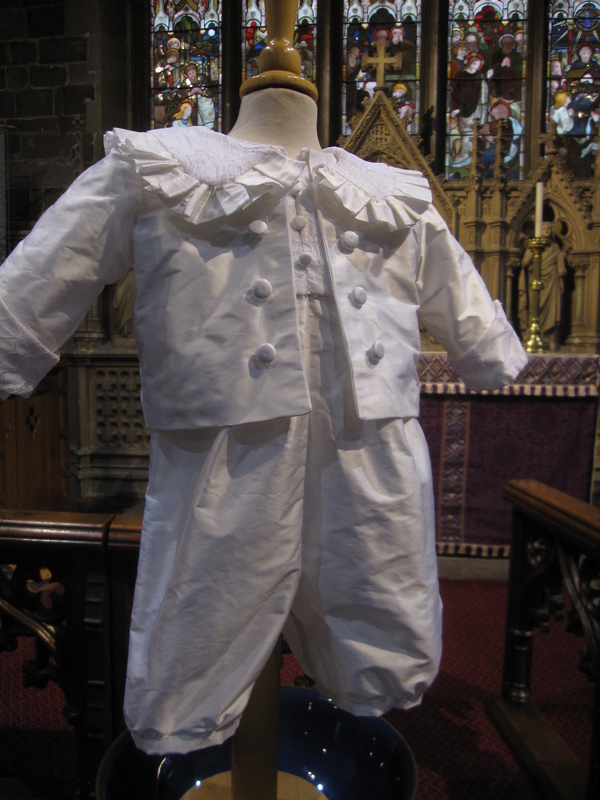 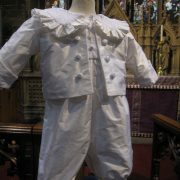 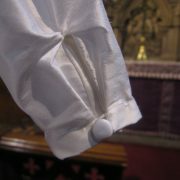 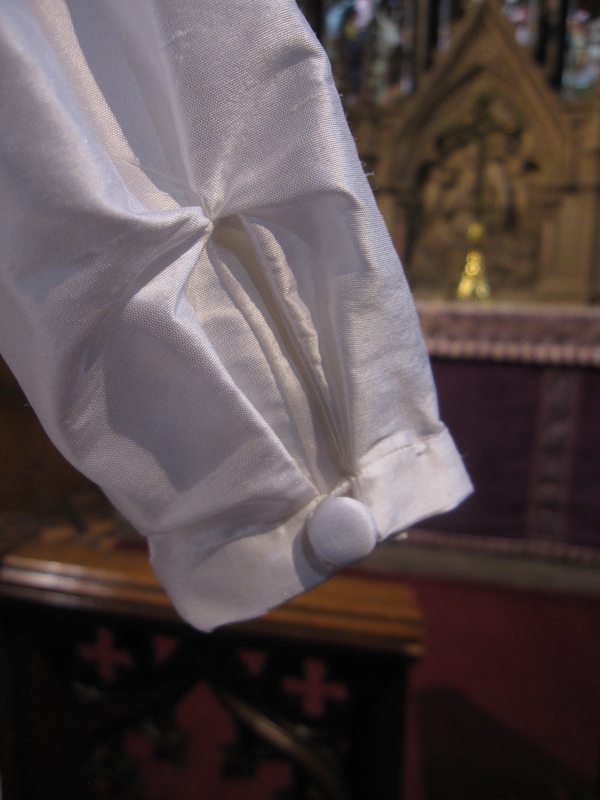 A white Catholic Christening Romper with front fastening. 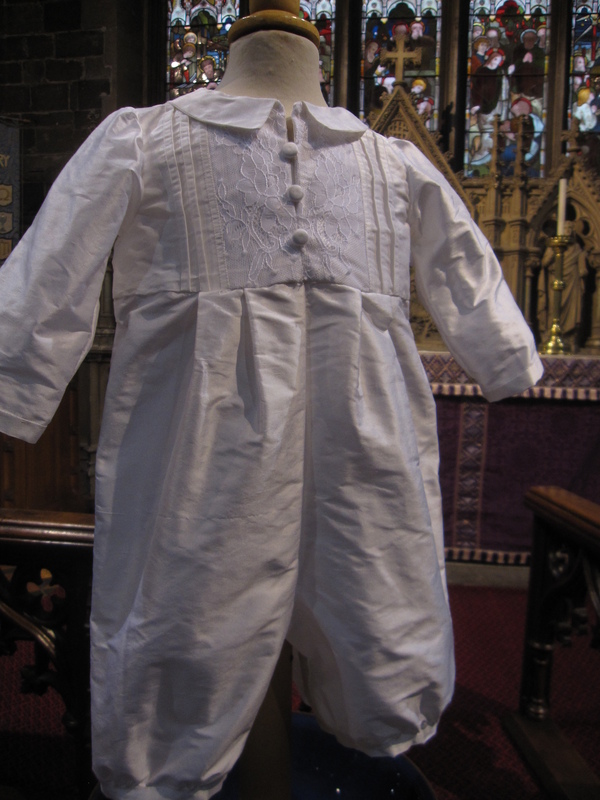 The Antonio is a front fastening silk romper that is perfect for Catholic or Orthodox baptisms where it is necessary to open the front of the garment. 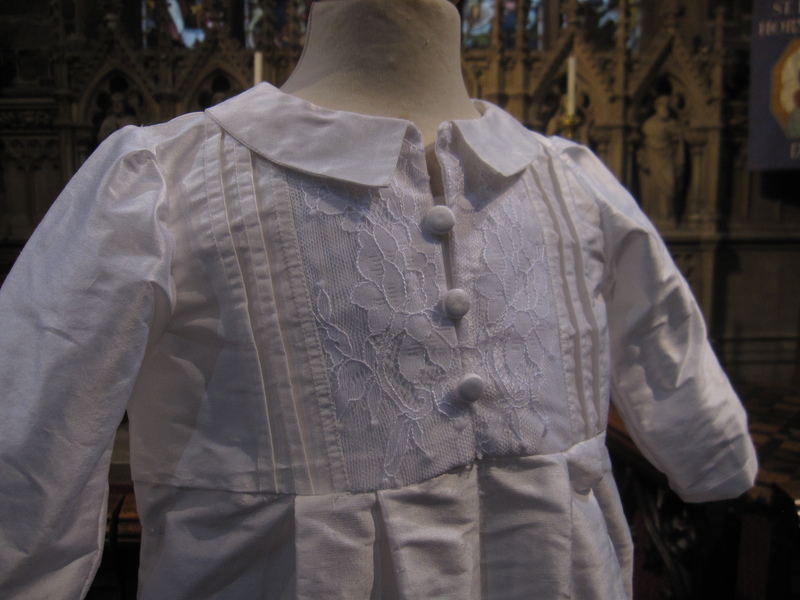 The Antonio Christening Romper is a beautiful silk garment with additional French Chantilly lace decorating the bodice front. 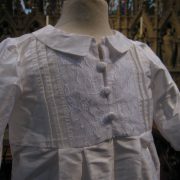 Small silk buttons hide the front opening and pintuck detail complements the classic style. 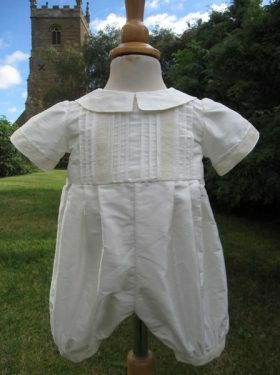 The romper featured has long sleeves with cuff detail and also long legs, gathered into short cuffs. 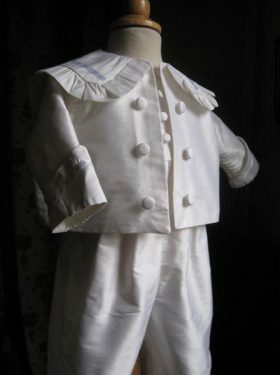 But, this romper is equally suited to shorter legs and sleeves. 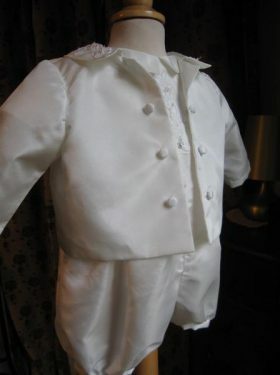 Matching jackets,� caps, bibs, booties and shawls are also available. 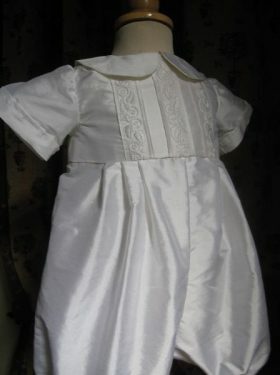 Available in either white or ivory silk with white or ivory Chantilly Lace.